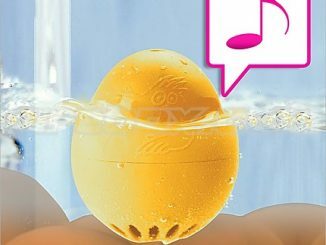 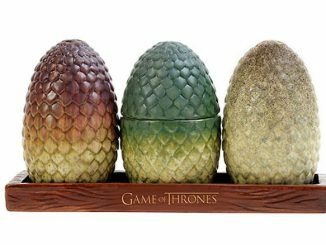 While the Dragon Egg Paperweight could in theory be made into a necklace, its large size would look pretty silly hanging from your neck. 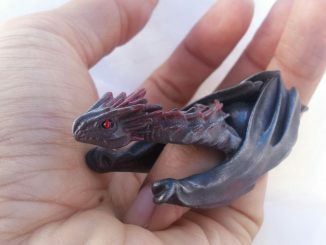 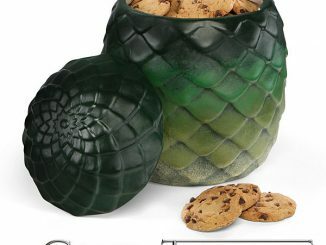 Fortunately there’s the Game of Thrones Dragon Egg Necklace. 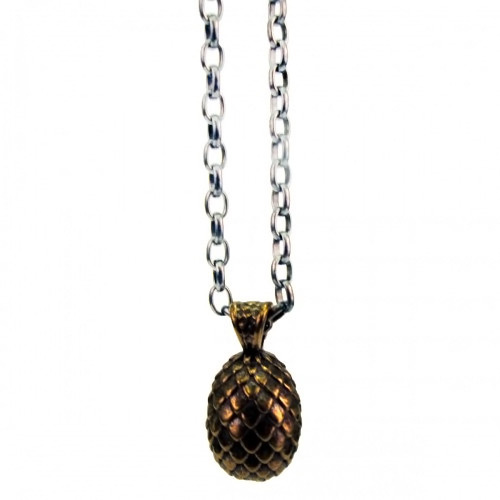 Made of brass with silver plating and an antiqued finish, this necklace features a two inch pendant and an 18″ chain. 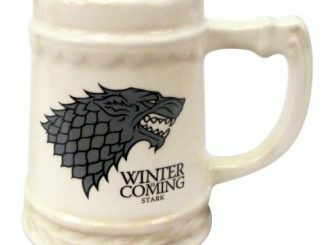 It comes with a Game of Thrones logo pouch, making this an excellent gift idea for fans of the TV series. 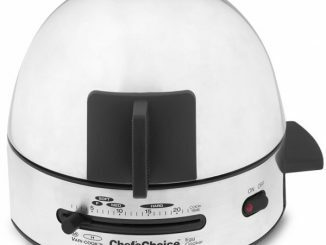 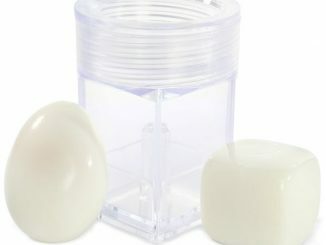 Made in the USA to assure quality construction. 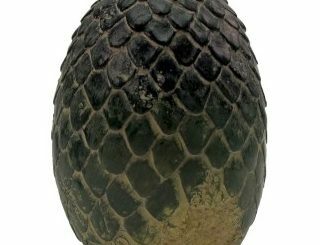 Among Daenerys’ most prized possessions are the three petrified dragon eggs gifted to her upon marrying Khal Drogo, immortalized here with the Game of Thrones Dragon Egg Necklace. 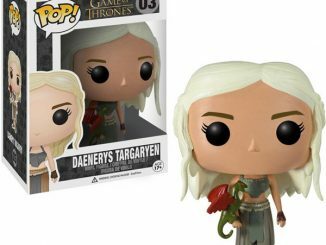 Incredibly beautiful, and valuable beyond belief, Daenerys cherishes her gift. 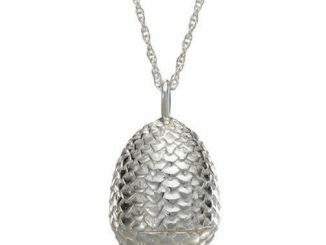 Strung on an antiqued chain, this Game of Thrones Dragon Egg Necklace displays a stunning dragon egg. 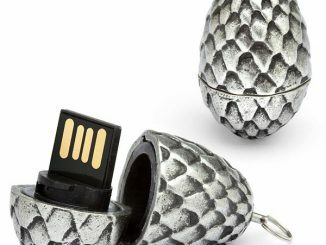 This rare gift comes delicately packaged in a small pouch with a Game of Thrones logo. 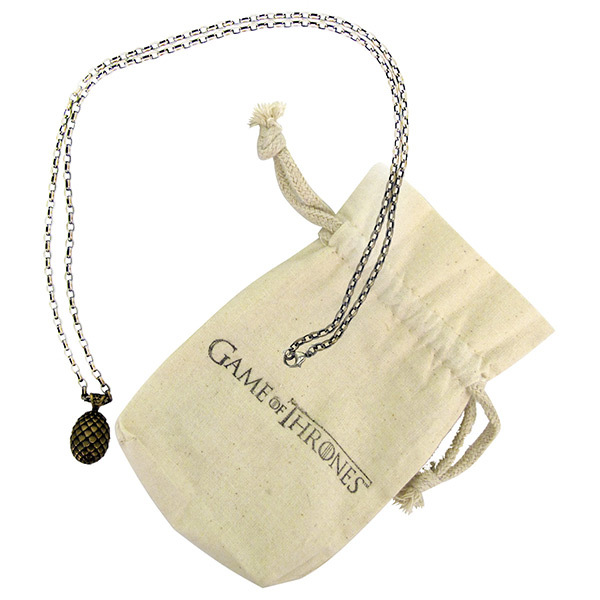 Order the Dragon Egg Necklace for $69.99 exclusively from the HBO Store. 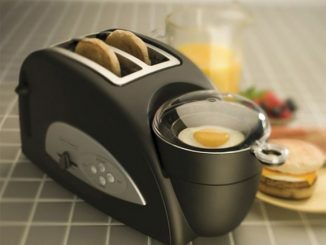 Is it me, or does it look a bit like a pineapple?